Def Leppard released their classic Animal single 31 years ago on this day in 1987 in the UK. The first single to be released from the 'Hysteria' album in the UK. It was also the first single release since 1984 when 'Photograph' was re-released in the UK and the remix of 'Bringin' On the Heartbreak' came out in America. It was released on 20th July 1987 and would become the band's first ever hit single in their homeland following many press articles on their comeback and Rick's return to drumming. It reached Number 6 in the UK Top 40 singles chart. The "new" single was actually already three and a half years old by the time it was released having been written in Spring 1984 at the band's house in Dublin as they started work on 'Hysteria'. Joe completed his lead vocal in July 1985 at Studio Des Dames in Paris, France. 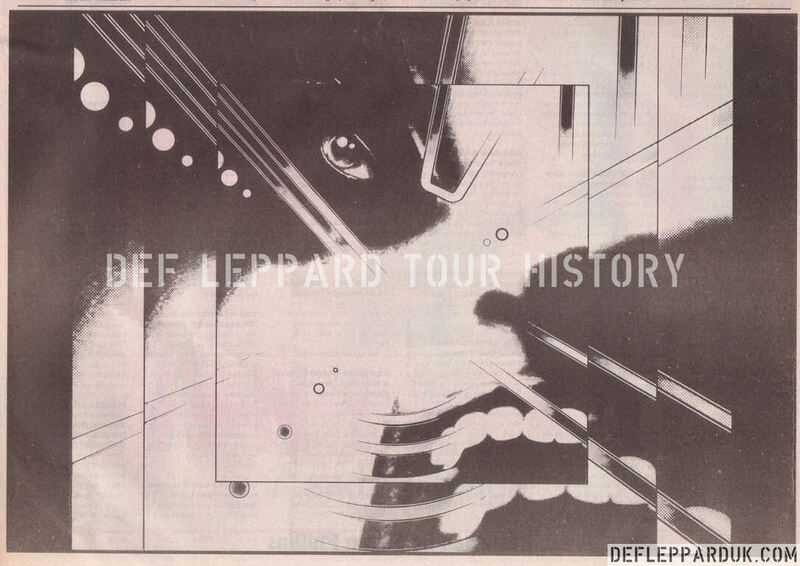 The first Top Ten single of the band's career and the first of six Top 40 hits in the UK from the 'Hysteria' album. The success was also helped by appearances on many TV shows performing a playback version of the song such as The Roxy and Top Of The Pops. The band performed the song on Top Of The Pops in mid August, their first broadcast appearance on the legendary show. 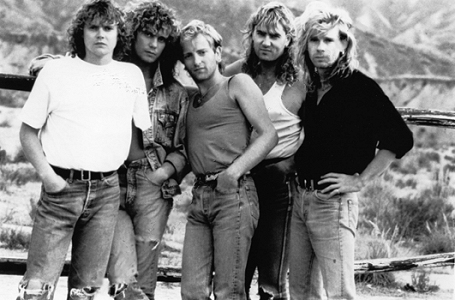 Def Leppard were now in the music mainstream in the UK for the first time. This single helped send the forthcoming album to Number One upon its release and resulted in a sold out 17-date tour in August/September. 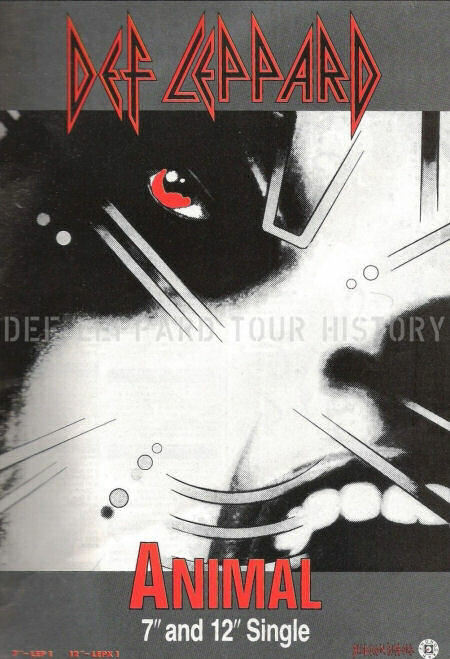 The single sleeve featured the center of what would turn out to be nine segments of the main 'Hysteria' album cover. Initially released on 7" and 12" as well as cassette. Two Limited Edition versions were also released. An ultra rare CD single limited to just 3,000 copies with each one being numbered. Plus a Limited Edition Coloured Red Vinyl 12" single. The 12" and CD included a new B-Side 'Tear It Down' which would be played on the UK tour and eventually re-recorded for the 'Adrenalize' album. And an extended version of the single later to be released as the 'remix' version. These adverts were printed in Sounds magazine in July 1987, one on each page leading up to the final one. 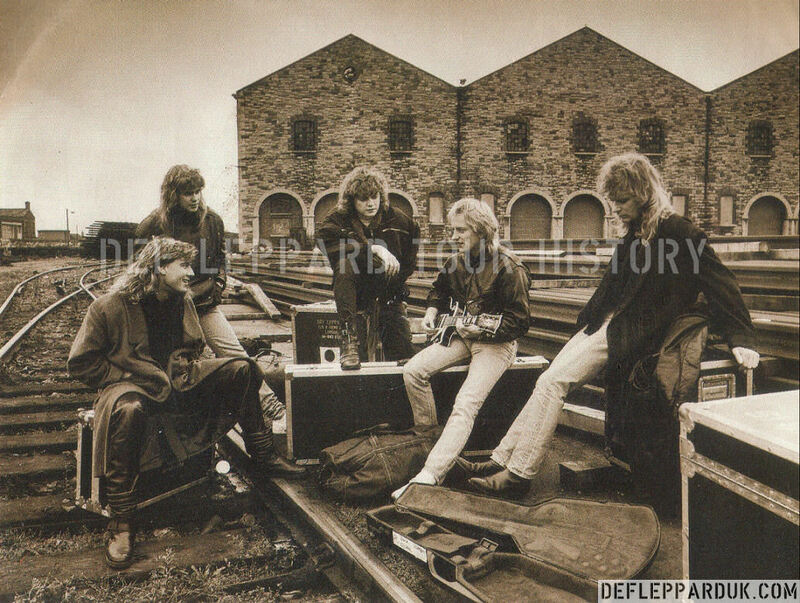 The photo was taken at The Point Depot in Dublin, Ireland on 14th December 1985 by Laurie Lewis. She also shot the 'Hysteria' album back sleeve/insert photos on the same day. At that time it was still an old train depot. By 1988 U2 used it to record audio and footage for their 'Rattle And Hum' live album/concert film. By late 1989 it was opened as a concert venue with four U2 concerts. The 31st December 1989 show was attended by Joe. 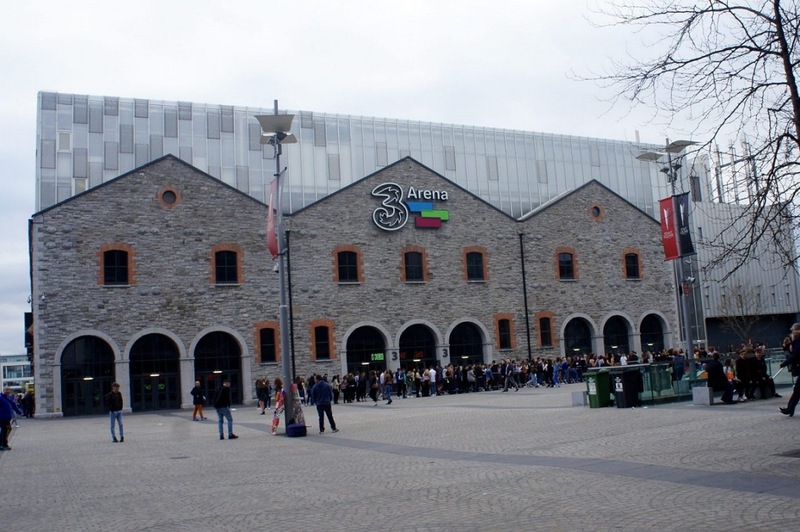 The three arches shown in the 1985 photo can be seen in the new photo of 3Arena from April 2017, located at the back of the venue and kept in the original style. In June 1992 the venue was the first to host an In The Round show outside of the USA and Canada at the start of the 'Adrenalize' tour. "It was a guitar riff that Steve and Phil came up with together. We recorded the song with all these guitar parts and then recorded the vocal, which we all thought was one of Joe's best efforts. In fact, the vocal was so good we decided to redo the backing tracks. What eventually happened is that we kept a finished lead vocal and completely rewrote the song underneath that vocal. We had to keep the same chord changes so the vocal would work, but the verses, bridge and chorus were all rewritten. The original version sounded much heavier, but once we heard the style of the lead vocal we thought it would be best to make it more of a pop song." "Our first top-ten hit in England, and it broke us in Europe. It took about three years to finish recording the song. We kept changing the guitar parts. I used a clean, compressed tone reminiscent of The Fixx." "I got a lot of satisfaction out of that just because it was nice to have a top ten hit in your home country and it was the lead off single from Hysteria and it just set everything up nice you know. I remember we’d tour England. 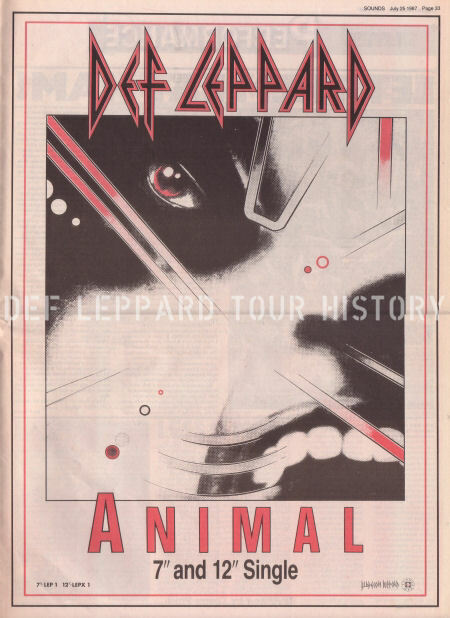 England was the first place that we actually toured on the Hysteria record and the minute we started the first two bars of ‘Animal’ the crowd just lost their minds and it was like Wow this is what it’s like to have hit singles in this country you know, people do respond." "My recollection of Animal is it's fading somewhat because it's a long time ago. The one thing about that song, as opposed to everything else on the album, or anybody that's ever been in a band and had a song that they've lived with for a while but then ended up re-writing parts of it. I sang the lead vocal to a completely different backing track. It was vastly different." "I did the vocal for it in Paris. We went to work in Paris. I remember we were there when Live Aid was on. We were there for Bastille Day. And we worked in this little studio and I did the vocal. We spent a couple of days just experimenting with it and then nailing it down. And then when we took the tapes back to Holland. Where we went to finish the album off. Between Holland and Dublin." "We kind of grew tired of the backing track. But everybody was commenting on how much they like the lead vocal. So I think it would have been Mutt who just said well look what I'm gonna do is I'm gonna strip all the track off. And just leave the vocal playing against the drums. I want you guys to just play underneath and see what you come up with." "And totally updated the song to the point where it's timeless now. Which before it was starting to age even before it was released in it's original form." 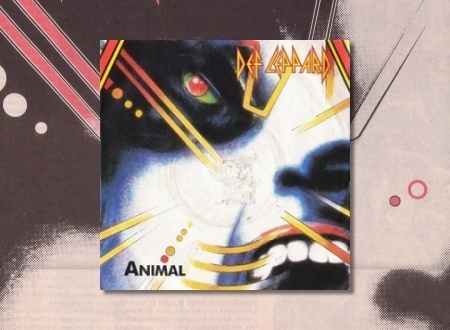 "The song Animal we wrote - re-wrote three times and re-recorded it three times. In three different forms. And it's like it still didn't have that magic. And then one day we just changed the bridge or whatever it was and it just clicked. And we knew that we'd done something right." "And this happened with a lot of the tracks. I think that was the main reason why they took so long. It's just getting them so that we were happy with them." "A total nightmare to record but our first UK hit. Thank you." "1st Top Ten single in England. Gave me biggest sense of accomplishment." "Our first big hit in England & finally broke us in our home country - At last!."